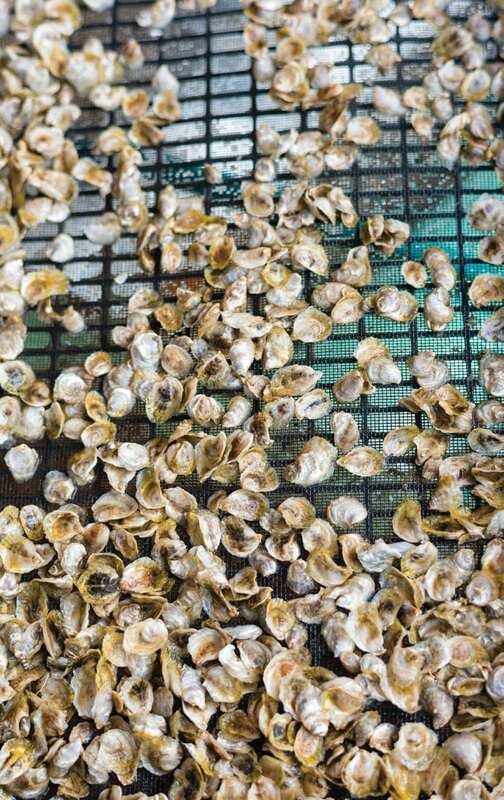 Talking to Michael Sullivan, owner and operator of Commander’s Shellfish Camp, as he “pushes” millions of tiny seed clams through a screen with a water hose, it’s hard to picture him in a suit and tie. 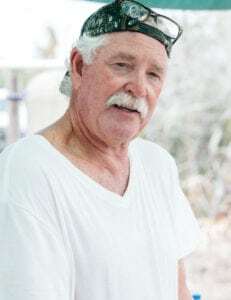 In his worn-baseball cap turned backwards, cargo shorts, t-shirt (drenched from the gallons of water coming from the hose), rain boots, and shaggy white hair, he looks like the quintessential Florida outdoorsman. In the early ‘90s, tired of being confined to four walls and an office, Sullivan started looking around for something that could break him free of the constraints of the corporate world. His escape would come when a friend told him that he had met someone who had a shellfish lease, and started rattling off the numbers. The mathematician’s mind perked up. As you can imagine, it was a little more difficult than that. Sullivan started a clam distribution business which was always struggling to find product. As a way to end that struggle, he convinced the Small Business Administration to give him a loan based on the argument that if he grew clams, he could sell them. Unfortunately, the first batch of seed he got was “not the best” and if you get bad seed, you’re not going to get good yield, if any at all. He tried to get things up and running with that batch at a site just south of the 206 bridge but it was, for all intents and purposes, a bust. 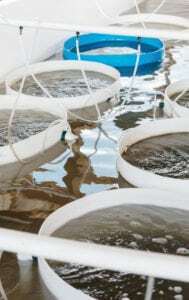 At this point, it would be good to provide you with a quick overview of the process of shellfish farming, because it’s important for understanding some of the things in the rest of the article. Like an age-old love story, it all starts with a guy and a girl. We all know the birds and the bees, right? 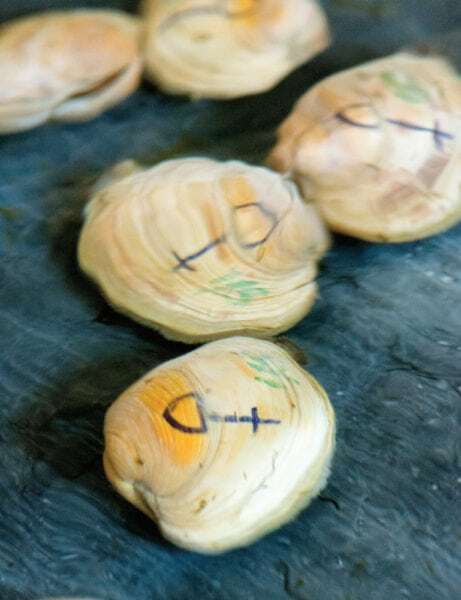 In the shellfish world, this is called spawning, which is surprisingly more complicated than it would seem: through a lot of environmental manipulation, a female clam is coaxed into releasing eggs and a male is coaxed into releasing sperm. The eggs and sperm are combined in the hopes that a good number will end up being fertilized. In the wild, not all do. In fact, the ratio of the actual eggs fertilized to actual eggs released is very small — research shows that one out of one million clams makes it to harvest size. That’s where the numbers come in again. When spawned in a controlled environment, Michael and company can produce such a large quantity that they end up with around ten million larvae at the end of it all. Those larvae are put into large tanks of sea water which have been extensively filtered then put through a “top secret” system which clears it of every possible impurity. When done, it’s as clear as drinking water. The hatchlings are fed with specially cultivated algae and then left alone to grow into seedlings — tiny little clams. 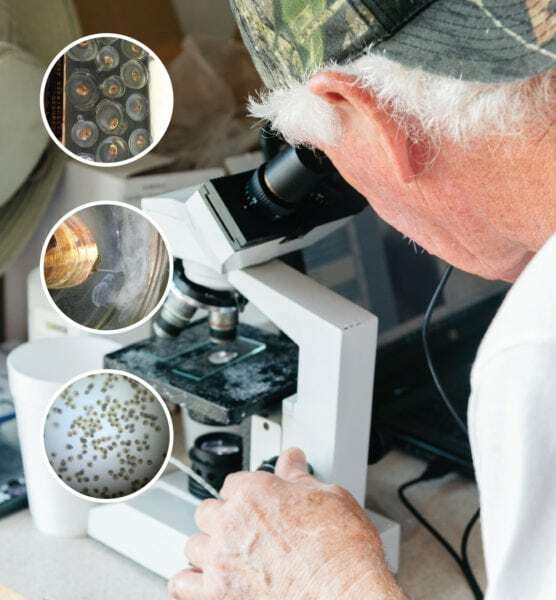 Right now, Sullivan is more focused on the seed business than the farming business. It’s the numbers once again. 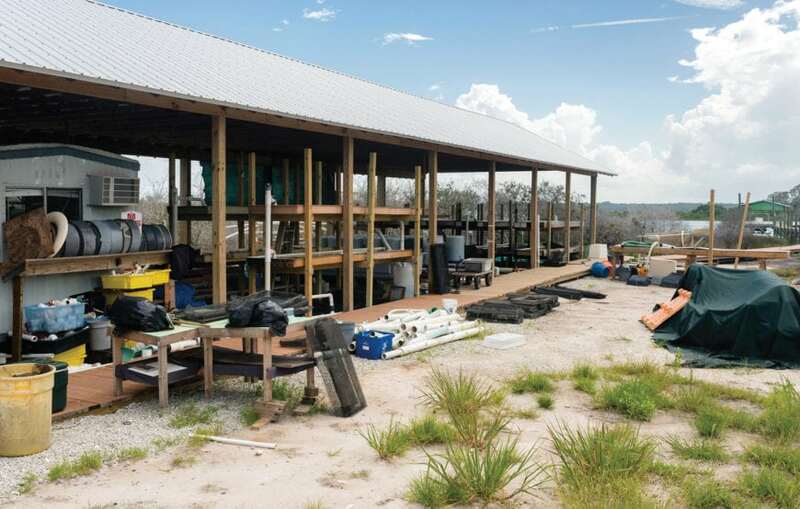 “It just makes sense, because I can get the them to where they’re ready to move onto to the next step and sell them to somebody who will take it from there; much less work than doing that, and then moving onto staging, planting and harvesting, where we have to get them big enough to survive in the river and then take them out to our leases,” Sullivan explains. Exponentially more work than seeding. Plus, at each step, they risk something happening which can destroy everything they’ve worked for up to this point. So many factors can lead to the animals dying off, meaning a lot of work will be for nothing. 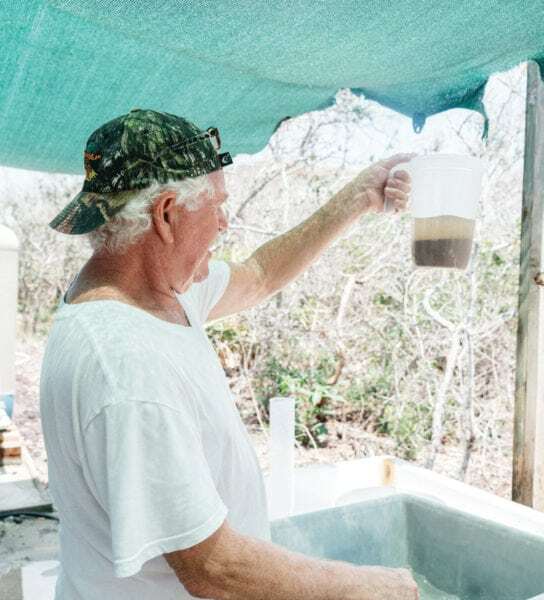 For a better grasp of what this means, Sullivan holds up a plastic pitcher containing something that looks like silt from the bottom of the Intracoastal Waterway. It is actually about five million seedlings which will, if they get to the point where they are river ready, fetch $50,000. That’s a heck of a number. It’s the same process for oysters, but Sullivan’s experience up to now has been with clams. 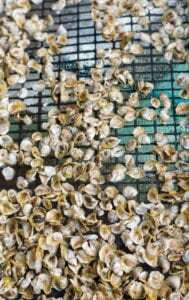 He is just started with oysters a year ago, both farming and seeding, and will be harvesting his first effort later this year. 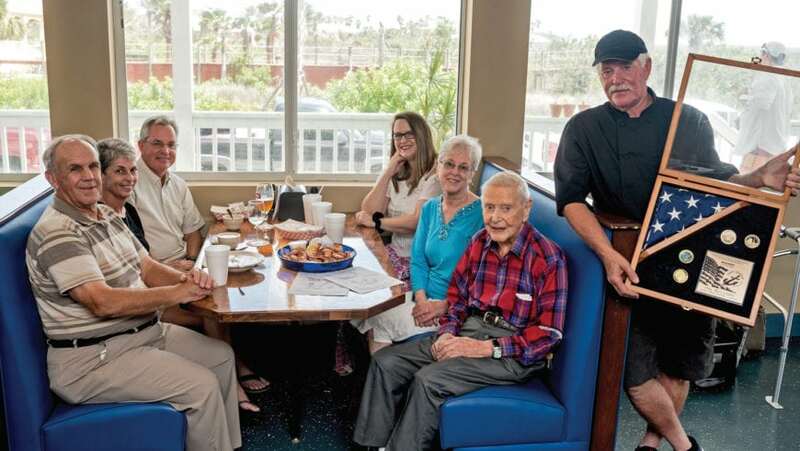 After Sullivan’s initial failure back in 1992, he kept at it and eventually partnered up with John Bollman of JB’s Fish Camp in New Smyrna Beach, an extremely popular seafood restaurant located on the water just south of the town. A favorite of locals and visitors alike, JB’s has always had a reputation for some of the best tasting shellfish anywhere on the East Coast of Florida. 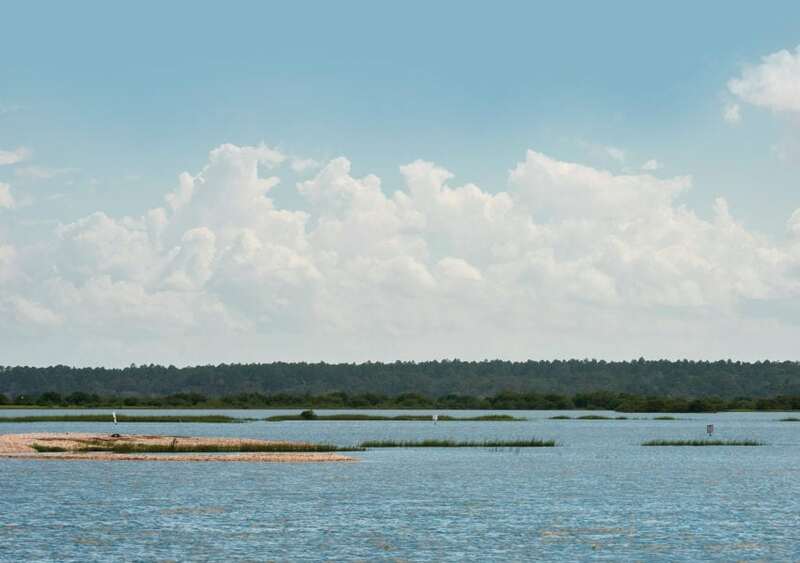 In 1995, through the partnership with Bollman, Sullivan ended up with 36 acres of underwater leases, at two separate locations just north of the Canaveral National Seashore estuary, one of the richest in the state. 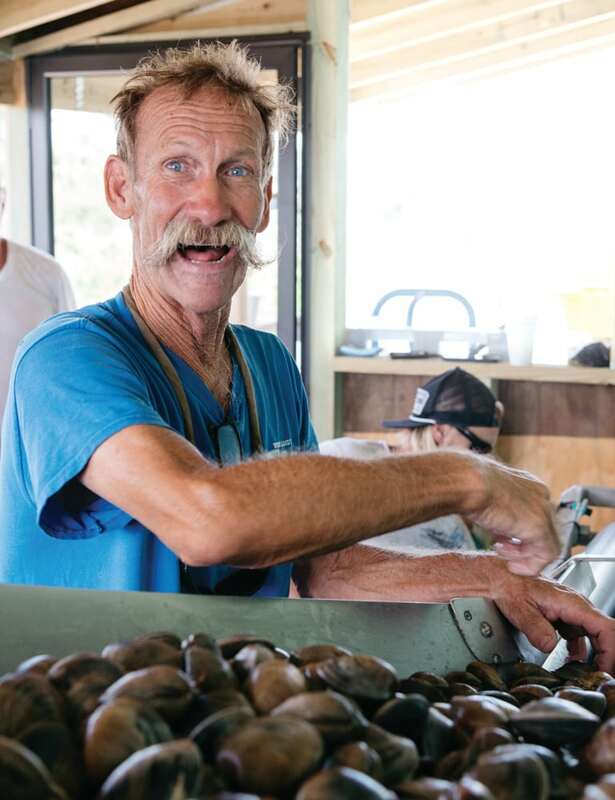 With Sullivan working the operation, he and Bollman built one of the most successful clam farming and seeding businesses in Florida. Sullivan pretty much lost everything. With the clam beds gone, he had to find a place to relocate the business, and quickly. The opportunity to, in essence, come back to where it all started, to his leases just south of the 206 bridge presented itself, and Sullivan took it. Why? Simply put, it’s the water. Due to the careful management and monitoring done by not just one, but many entities in the area, the water here, around Devil’s Elbow south of the 206 bridge, is the best you can find anywhere along the coast, from the Georgia border to well south of here. “It’s all about the water quality,” says Sullivan. “That’s THE MOST important factor in this business. 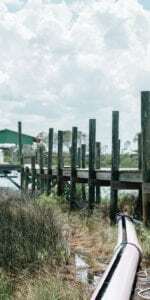 Things like fertilizer and septic tanks that are buried just a hundred yards from the river and environmental toxins like oil and gasoline from cars that get into the river as run-off when it rains or when we have these crazy high tides affects the estuary. We’re lucky that we have organizations in place like the folks at Marineland, and Guana Tolomato Matanzas National Esturine Research Reserve that try to protect our waterways. 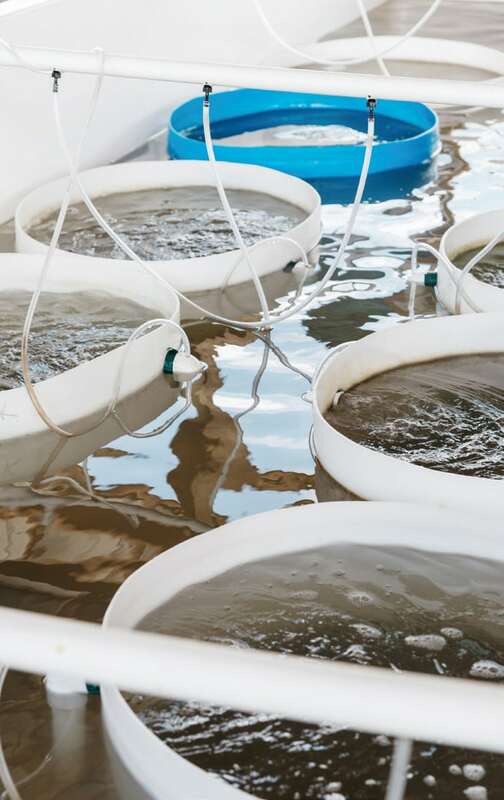 The county environmental department and the South Anastasia Community Association are great, too.” Even though the seedlings start off getting a diet of the best algae they can be given, when they reach a certain size, they get put into tanks of water that come directly from the river. If that water has issues, they’re not going to make it. Case in point, on the day Sullivan was interviewed for this story, he was working five million seedlings. Three days later, they had all died because of environmental issues with the water from heavy rains and run-off in the area over the previous week. $50,000…dead in the water (or because of the water). 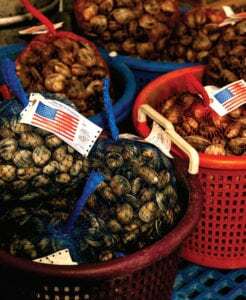 Even with that latest die-off, it is better here than anywhere else, especially for clams, Sullivan started to cultivate seed here in 2016 and was harvesting clams shortly after. He’s even managed to get Disney back onboard, though not nearly at the level they were before. Nowadays the company buys around three to four thousand clams from Sullivan per week, not fifty thousand like before. That’s by choice though. As a way to showcase the fruits of his labor, and of the sea, Sullivan opened a raw bar restaurant at Commander’s (named after his father, whom everyone calls “The Commander,” because of his final rank as Commander in the Navy, and his service during WWII) on the same plot of land where his operation sits. Open Thursday through Sunday, it gives Sullivan the chance to offer his delicious fare right from the river to his tables. “My clams casino are out of this world. They’re the most popular thing on the menu… and that’s saying something, because we have our farmed clams, local river oysters (Sullivan has a bit more work to do before he can harvest and serve his own oysters), local white and Royal Red shrimp (can only be tasted to describe how delicious they are), homemade New England Chowder and snow crab legs.